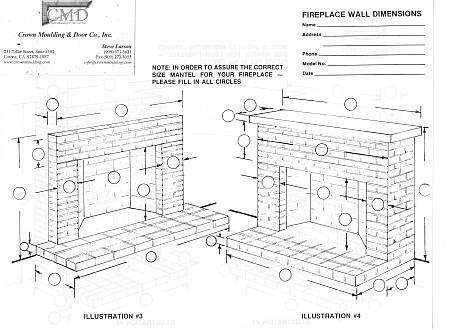 The sketches above should give you some help in getting the required measurements to us. 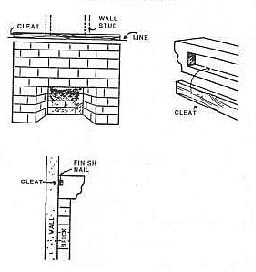 The drawing below shows how to install a simple shelf mantel. 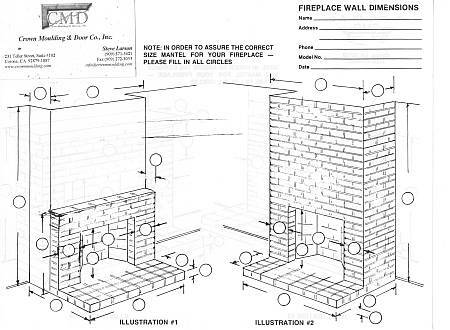 Crown Moulding & Door Co., Inc.